For the most part, I’ll be honest, when I see a licensed game I tend to cringe a bit. Throw in the fact that it’s a license for a property I’m not terribly familiar with and I move from being skeptical to bordering on dismissive. With that in mind I’m here to tell you that Ben 10 has managed to not only defy my low expectations but, for the most part, to obliterate them. 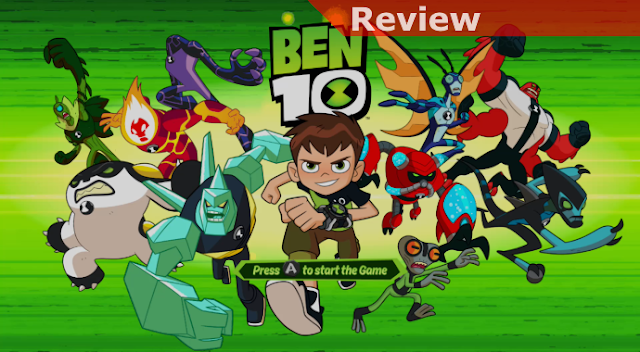 Rather than lean heavily on nostalgia or the blinders of the series’ fans the developers behind Ben 10 have leveraged it very appropriately within an engaging and entertaining beat-em-up, making it much more than just a game for fans of the cartoon series. What you need to know about the game is first that the presentation is actually pretty nice. There are some in-engine cut-scenes that will set the stage for each piece of the action, establishing who you’ll be facing and usually involving some humor, and then you’ll hit the ground running. The gimmick with Ben is that he has the ability to change himself into any one of 10 powerful alien creatures, each themselves possessing a number of different attributes, general attacks, counters, and special attack. What this does is open the door to you figuring out which style suits you the best and, for the most part, to them stick with that character as you progress. Things starting to go south or getting a bit bored of beating things up the same way? Change it up and pick a different form. For me this dynamic is absolutely what makes the game, and another key thing the developers did right was to have you start with only 3 forms and then let you slowly get more as you work through the story. 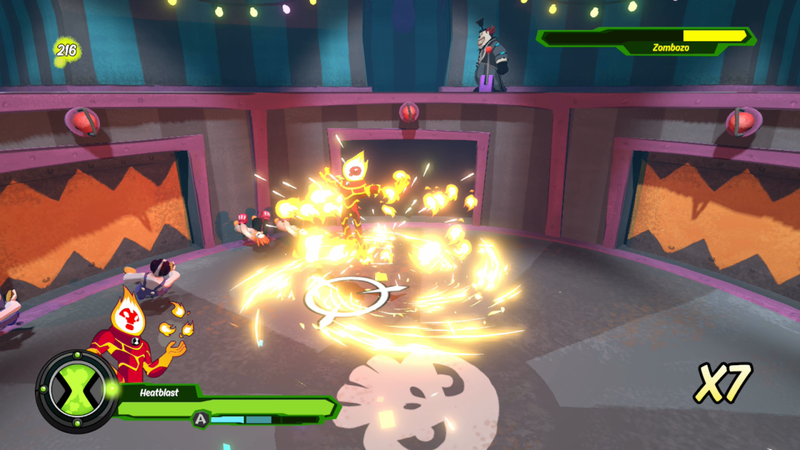 That means every so often you have a new character with new moves and powers to try out. As you go you’ll also be collecting green energy globs that you can use as a sort of currency when you periodically get to a power-up station and this was another smart element of design, with you getting to choose how to apply your power-ups. Do you spread them out so you’re covered no matter what, throw everything into making sure your specific character is even more powerful, or do you try to spread things out to just 2 or 3? It’s up to you and while this isn’t a tremendous feature I did like the element of choice. 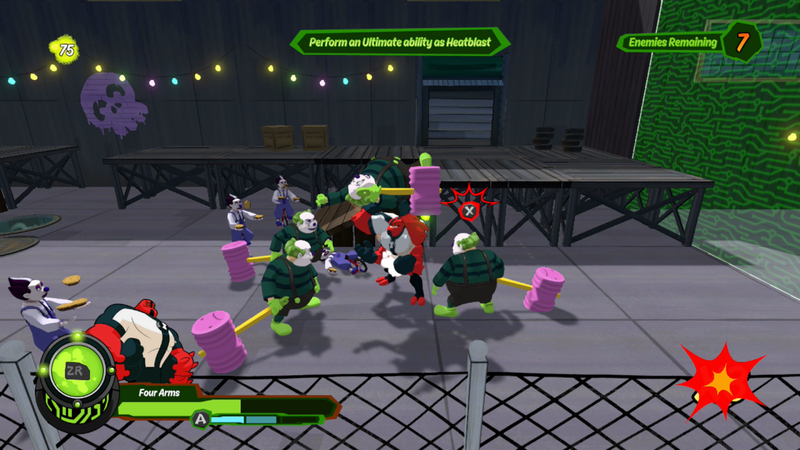 I’d say the main concern I would have with the game is pretty well in common with all beat-em-ups and that is a degree of battle fatigue. You do spend a lot of time getting into roughly similar fights with packs of enemies where you’ll get into patterns for how most effectively deal with them. Focus the ranged attackers first, corral the mob, throw in a heavy attack to knock some down, and then attack and counter-attack the stragglers, it can get routine. That issue is wonderfully something you have control over though in how you choose to play. You’re not locked into one character and their moveset for the long haul, if you’re bored you can switch your character at any time!